TPC Overall Rank: #70 out of 2933 rides. In User Top 10: 148 times. User Tracker Count: 635 times. This is by far my favorite log flume in the country. The dark ride scenes, multiple dips, and soundtrack make for a memorable experience. Possibly the Magic Kingdom's best ride, multiple drops and one 50 ft drop at the end, great picture and extremely catchy music. Normal queue times are about 20 - 40 minutes long. The story is amusing during the 5 - 10 minute ride until the grand finale!. 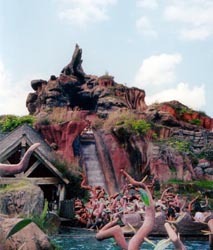 Splash Mountian is more then an average log flume it has multiple drops and a story that goes along with it. The scenery is amazing on the ride and in the line.defiently get a fastpass it helps alot mostly because who wants to wait outside for 45 minutes when you can wait inside for 10? The ride is pretty worth the wait only because of how long the ride is it almost takes 10 minutes to ride. I don't always like log flumes but I enjoyed this one. Love it, as do my kids. However, it is really temperamental and broke when we were on it, and on another day broke at least 3 times! Was good to be led off the ride and see the back of the ride. We were told not to take photos!! Very good ride as goes down a number of times culminating in the main drop. Don't miss it but use fastpass - makes a huge difference, especially as a lot of the queuing is outside. Great ride you might wait an hour but its so worth it. Its not like a one drop kind of log ride it has multiple drops. But the best one is at the end. Its enjoyable for the entire family and you will love this ride. 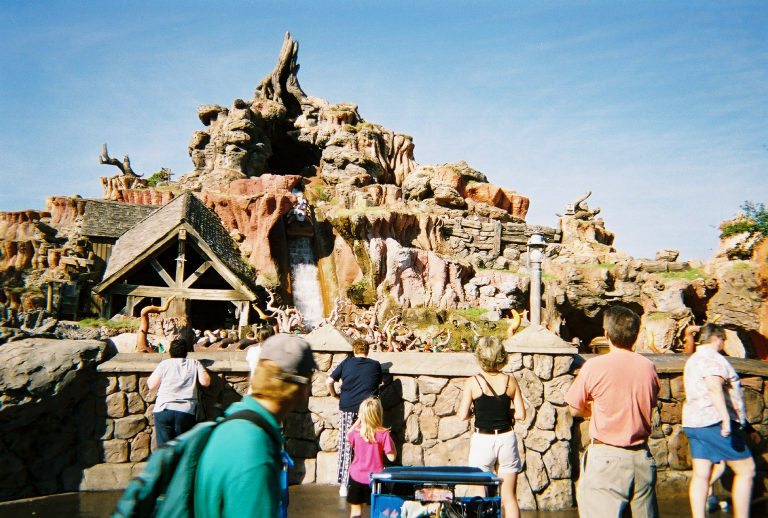 The log flume is an attraction that you can ride at virtually any theme or amusement park in the world big or small. Unfortunately, at least for me, the majority of them have been huge disappointments. Mountain is the right word for this attraction because it stands alone on the top of the mountain of log flumes rides everywhere. It is very long, detailed, and an excellent experience from start to finish. It combines a show, as well as thrills along the journey. Some people will say that theming doesn't matter much on a ride, but I disagree. I think it does matter. 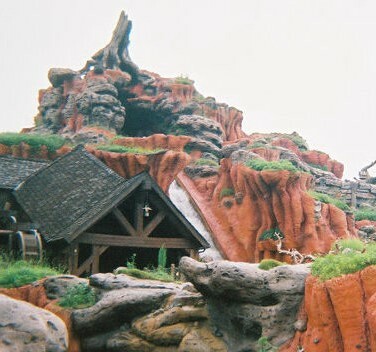 Because at least for me, splash mountain doesn't only beat the competition, it crushes the competition. great ride! Simply...AMAZING!!! The BEST Log Flume I have ever riden in my life. Wonderfully themed and marvelous fun for all ages. The water is refreshing but not too much. The ride tells its story well. Children and adults both should have a fabulous time on this ride. The best ride at the Magic Kingdom. 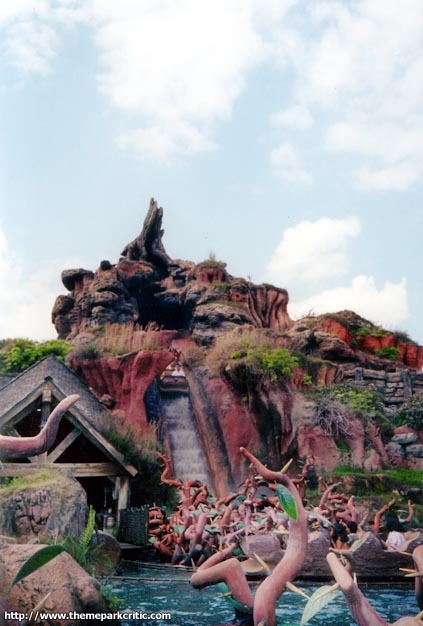 Splash Mountain draws comparisons to Ripsaw Falls at the nearby Islands of Adventure, but in my opinion Spash Mountain is by far the better ride. First of all, the theming is top notch and the ride itself is entertaining outside of just the drops. The actual drops aren't quite as big as Ripsaw, but the difference in the size of the drops isn't that much and doesn't make up for the difference in ride length, theming, and overall experience. And, you're not stapled into the flume on Splash Mountain like you are on Ripsaw Falls. The flumes sit 2 in each row (rather than everyone back to back), which is another added benefit of the ride. How wet you get depends on timing and where you are sitting the flume, but you won't get soaked like you've been tossed in a lake. Riding Splash Mountain at night is a must do, as it offers great views of the Magic Kingdom. The best part about this ride aside from the big drop is the fact that you actually get entertained. The inside show last probably 20 minutes and its well worth the wait.